* Jerusalem * Can the Palestinians Launch a “Legal Intifadah”? Professor emeritus of international law at Ohio State University, Quigley’s books include The Statehood of Palestine: International Law in the Middle East Conflict and The International Diplomacy of Israel’s Founders: Deception at the United Nations in the Quest for Palestine (both Cambridge University Press). Boyle, professor of international law at the University of Illinois College of Law, served as legal adviser to the PLO. His books include the Palestinian Right of Return under International Law. 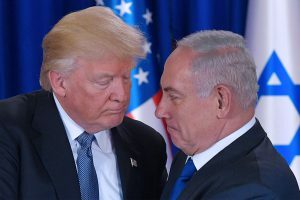 He said today: “Trump’s move is a symbolic but still critical step in Israeli designs to control not just Jerusalem, but all of historic Palestine. The Palestinian leadership needs to deal with this threat by all available legal means, including what I call a legal intifadah. The U.S. has prevented full Palestinian membership at the United Nations. The PLO could remedy this by using the Uniting for Peace mechanism, which would mean a vote on the issue in the General Assembly and not the Security Council where the U.S. government has a veto.